Last Monday, I mentioned that I was starting a self-initated experiment to put my iPhone aside and use the Android-powered HTC EVO, with Sprint voice service, exclusively for at least the full week. Curious if Android and the new handset could live up to the same standards, or better, than those I have come to expect from Cupertino for the better part of two years, what is worth noting is that I haven't gone back to the iPhone out of frustration at any point. I haven't lusted after any specific functionality or felt completely at a loss for specific applications, and most importantly, I know that if the iPhone platform were to magically evaporate from the Earth tomorrow, all would be well, because the iPhone is no longer the only highly qualified smartphone game in town. I expect I will be watching Steve Jobs' WWDC presentations very closely later this month to see what is the story with the next generation iPhone and software, but I would be perfectly happy if I never had to use an iPhone again. Making a choice of smartphones is not a winner takes all proposition any more, as I mentioned on Saturday, so I am not going to tell you what you should do with your mobile plans. Instead, the goal is to share what I found as differences between the two platforms' combined experiences - from software, hardware and execution. Voice Quality: No Dropped Calls With Sprint - Ever. First things first, and this is a big one... I have not dropped a single call or complained about voice quality in any way in my use of the HTC EVO. On the iPhone, whether a call would drop unexpectedly or not was a constant concern. Whether you think fault lies with AT&T or with Apple, the fact that this problem continues to be so widespread, with no end in sight, is a major point in the corner for Android's wide array of carrier options. Once I forwarded my calls from iPhone to the EVO, and connected the EVO to the bluetooth in my car, nobody ever had to know I wasn't using my original phone - except for the fact the calls always went through. The only issue I have ever encountered related to the phone is that Sprint's 30-day trial doesn't include international access, so when I missed a call from Barak Hachamov of My6sense, whose main number hails from Israel, I couldn't call him back. If Apple goes through another WWDC, and beyond, with AT&T having an exclusive, the platform will have major problems - regardless of Android's perceived quality or app ecosystem. But everything I have heard points to Apple at least partnering up with Verizon as an alternative in the near-term, which will stem the tide of switchers. Initial experience with the EVO, and my continued use over the last week plus, has been very easy to grasp, coming from the iPhone platform. While the device is not without its issues, as evidenced by the somewhat arcane error messages I encountered with some frequency, and the not-invincible battery life, I rapidly set up the phone's home screen and subsequent pages with many familiar application icons, just as I did the iPhone. 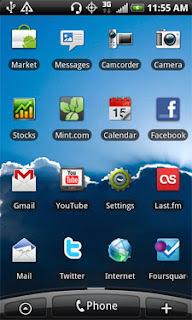 But Android also offers the ability to add Widgets, which are essentially smaller live applications that display content directly, without having to be opened. 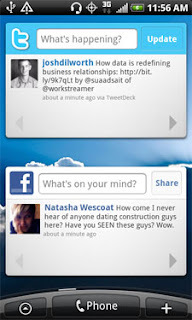 For example, I added widgets for Twitter and Facebook, letting me thumb through friends' updates directly. I also added widgets for Google Analytics, Google Buzz and Mint.com, giving me stats at a glance. Sliding between phone screens on the EVO is precisely as you would expect, coming from the iPhone, with a few small twists. 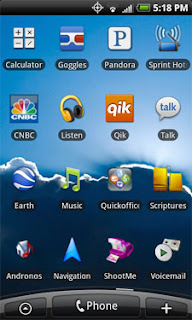 While the iPhone starts with the home screen fixed to the left and subsequent screens are to the right, the EVO home screen is the center position, atop an arc, with screens both to the left and right of center. And unlike the iPhone, you can tap the home button twice to see all screens, offering quick navigation to one or another. Also a benefit in the EVO's corner - the option to install applications without taking up valuable screen real estate. In the world of iPhone, every downloaded application gets a spot on one screen or another. 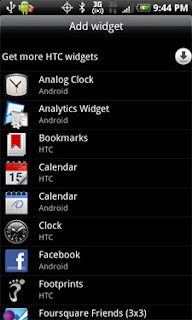 On the EVO, removing apps from a screen doesn't delete them, as they are all essentially shortcuts. 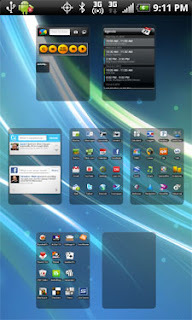 I could even put multiple instances of an application on one screen or multiple screens if I felt like it. Other major benefits to the EVO that the iPhone 3G lacks (note I do not have the 3GS) are much discussed, from multi-tasking to offering a wireless hotspot, tethering, an integrated camcorder, and a front-facing camera. We know the 3GS has the camcorder, and the lack of tethering again falls to AT&T, while multitasking arrives in iPhone OS 4, but the EVO has all these today, not forcing me to wait for the next rev of software or for the carrier to catch up to competition. One of the features I have enjoyed on the EVO is pull-down Notifications tab which, from one place, alerts me to new e-mails from both my .Mac account and GMail, mentions on Twitter, updates on the Marketplace and shows me the current status of any music applications I may be running - including the Android version of Sonos (Androinos), Last.fm, or Sirius XM Radio. The ability to multitask on the phone is extremely welcome. It's not uncommon to be running a music service in the background, while browsing another thing on the Web, having e-mail getting checked on multiple accounts, and, possibly, letting the phone's built-in Navigation alert us to the next stop. (So long as I am in the passenger seat, of course) But multitasking is not without its problems. In addition to what some people have said is poor battery life, I was frequently surprised by background apps crashing and needing to be force quit, while I was using another app. The good news was that the foreground app could keep going, but the frequency of crashes - combined with engineering-friendly explanations as to what actually happened, should get a lot of work as the platform (and accompanying devices) increase in sales and get picked up by less geeky customers. Coming from the viewpoint of an iPhone-a-holic, the breadth of offerings on the iTunes App Store set the stage to potentially be disappointed with what I often heard was a non-comparable Android Marketplace. What I did find, however, was that practically every need was met when I searched for it. Almost all the major applications I truly wanted are posted on both platforms, and for those that are still not there (for example, my6sense, CinchCast and Redfin), in most cases, I already know Android versions are in the works. Where the Marketplace did often fall short, however, was the quality of the apps. For the most part, it is easy to determine that iPhone and iPad applications are better than those on Android, in appearance, polish and ease of use. Instead of all the major brand names one can see dominating the iTunes store, the Android Marketplace is populated, seemingly, by lesser-known developers, often unaffiliated. 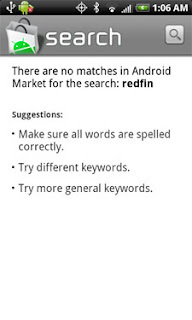 That doesn't necessarily spell bad news for the Marketplace. I would chalk that up more to the newness of the platform, and its open source ties, while iTunes is more tied to labels and has had a big headstart. Those of us who tried to buy music off iTunes back in 2003 and 2004 remember fondly how light the options were back then as well - so I wouldn't be surprised if the same kind of migration headed Android's way, and quality improved. Back in October, I started talking aloud about the opportunity for Google to replace Apple in many of the applications and devices we Mac fans have enjoyed. One of the biggest draws for Apple users is the company's integration of software and hardware. My Apple devices work best with MobileMe and iLife keeping all my digital media in one place, from mail to calendars, music and photos. The iPhone and iPad leverage that marriage. But the Android platform is married to equivalent Google services - meaning to gain the best experience, one should optimize their Google Contacts, GMail, Google Calendar, Google Talk and other apps. 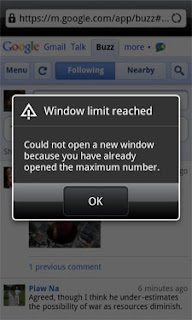 Once complete, the Android/Google data concept could be as interwoven as the Apple iPhone experience has been. For me, getting to a happy state meant exporting my Address Book contacts on the Mac and reimporting them to my GMail, which also impacted my Buzz connections, but made the Address Book on my HTC EVO completely up to date. Purchases from the Android Marketplace also tapped my Google Checkout account, associated with my GMail. Hard-core gadget geeks who like to dissect every megapixel might want to know how the EVO's camera (and camcorder) stack up against those of the iPhone. First of all, the camera on the EVO is higher resolution. It also automatically focuses on the main subject of the photo, to the best of its ability, and it offers Flash as well. The front-facing camera is also a nice touch, even though it is of lower quality. You can also see a few of the videos we made with the EVO on YouTube. Solid quality equal to that from our Casio handheld - even if not a professional offering. Where the iPhone wins here is the ease of integration with iPhoto, and multiple issues I had with EVO saying I didn't have file permissions set correctly on my SD card when it came time to actually take pictures or shoot video. If you have ever been somebody who needed to take the picture - right now - it's not exactly the time to try and troubleshoot file permissions, consider unmounting the SD card, or turning the phone off and on, so that was frustrating. Also frustrating? The frequent feeling that I was working not with polished software, but with a product still in beta. 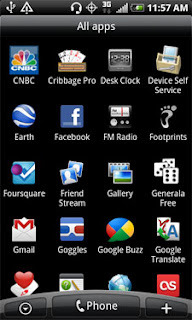 While Google has no doubt made tremendous strides in their development and release of Android in the last few years, basic elements like taking a screenshot - which on the iPhone is a snap - require too much research, or investigation into third party apps. The error codes also seemed to be better served to the developers making the product and not the end user, who could care less if (process com.google.android.apps.maps) stopped unexpectedly. I also wondered at times where I was downloading software to, in the rare case I did, or why I had reached the number of maximum windows open in my Web browser when, so far as I could tell, only three were. I did test out the EVO's hotspot capability, thinking the feature would come in handy either for long car trips or outings to the park when one of us would want to bring our 3G-less iPads. Sure enough, it worked. By turning on the EVO's hotspot capability, my daughter could browse YouTube in the back seat on the iPad as we drove from our home to Palo Alto, and while she's only approaching 2 years old, she didn't complain about any stuttering or slowness. That said, trying to type or use the phone when it was in hotspot mode was pure molasses, so if you are running it as a hotspot, make sure that's all you're doing. Other reviews of the EVO have slammed the product's battery life. I won't. For me, practically the only major computing device I can trust to not run down quickly is the iPad. I have always left my iPhone powered up overnight and carried my USB cables with me in case I needed a charge. I found the EVO to be similar, and even left it unplugged overnight a few times with no problems, finding it half-way full the next morning. If you use the phone as an alarm clock, as I have been, it's much safer to use the EVO unplugged than it is the iPhone, which might die before asking to wake you up. No doubt the EVO can consume plenty of juice, but that's due to the many things you are able to do at once. If you do think you're sucking down too much power too frequently, it makes sense to get a Task Killer and stop all wayward apps whenever you can. I found myself doing this often - a necessary evil of sorts that one hasn't had to encounter with the one app at a time world of iPhone, but it hasn't been so troublesome as to stop me from recommending the EVO as an option. Going into testing the EVO (And Android in parallel), the goal was to discover if making a switch would eliminate problems or introduce them, while adding features or stopping me from doing things I have always done with the iPhone. What I found overall was that the EVO gives me access to all the core pieces I need in a phone - from high quality phone calls and Bluetooth support, to a solid Web browser and access to bookmarks, contacts, calendars and e-mail. The EVO was built with more hooks to sharing and social sites than the iPhone has been, with much more flexibility in terms of how the device could be configured, with all sorts of static and live wallpapers, or different scenes that come bundled with the phone. Of course, the missing core for EVO is iTunes. The Marketplace is good, but until the Chrome Web Store debuts, there is no equivalent for browsing the PC and finding rich applications, music and media. 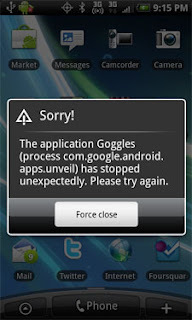 Anybody who thinks that Android is miles behind the iPhone in terms of usability and flexibility at this point is wrong. 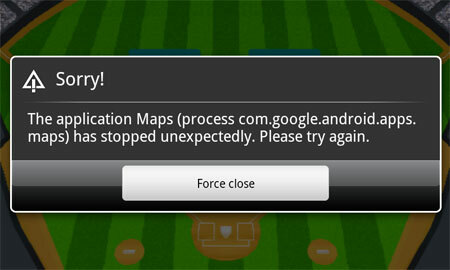 Yes, the Android experience has some rough edges, but they can be smoothed with time. There is no shortage of applications for download - even though some major names haven't yet made the move. Meanwhile, call quality on a respected carrier can make all the difference in the world for the basics of what the phone is supposed to do in the first place. My 30-day trial with Sprint goes through mid-June, after the conclusion of Apple's WWDC, which gives me plenty of time to keep using the EVO and watching what's next with iPhone 4 on iPhone OS 4.0. But I am feeling much more tempted to investigate the process of porting my number to Sprint than I am feeling tempted to go back to the iPhone right now. If I want an iPhone experience, I'll just go pick up my iPad.